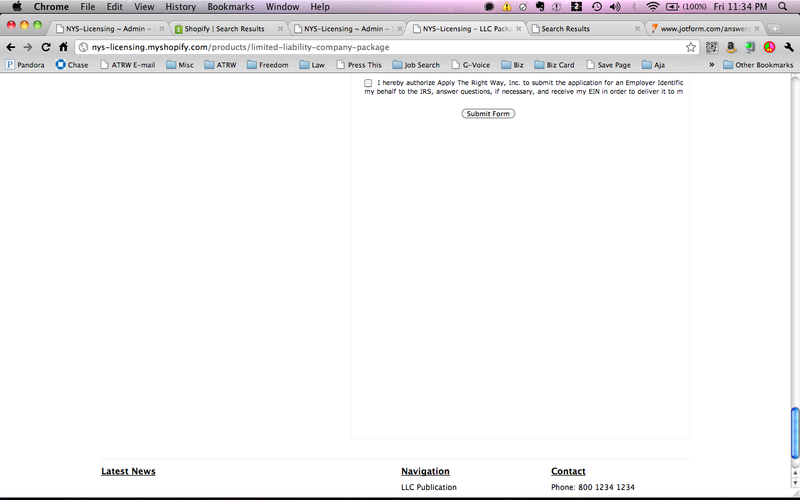 When I embed the form on my site, at the bottom of the form there is a great deal of white space. How do I fix this? Please provide the URL of the page in which the form is embedded so that we can examine the page's source to see what might be causing this problem. Well, what I can state so far is that the space only shows up in some browsers. Of the five (5) on my computer, only Chrome 11 and Safari 5 displayed it. Internet Explorer 8, Firefox 4 and Opera 11 all had no issues. As to how to remove the space, I am yet to come up with a solution. 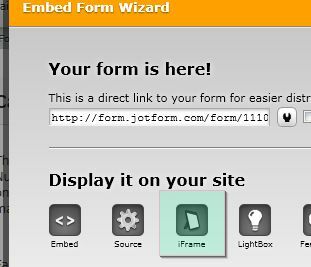 Try using iframe embed codes in your webpage instead. You may want to adjust the height of the iframe so there is not a lot of space at the bottom. I found 2500px to be optimal but the hover text for the last dropdown box gets cut off. Feel free to adjust it to suit your needs. You're welcome. We are glad to be of help.